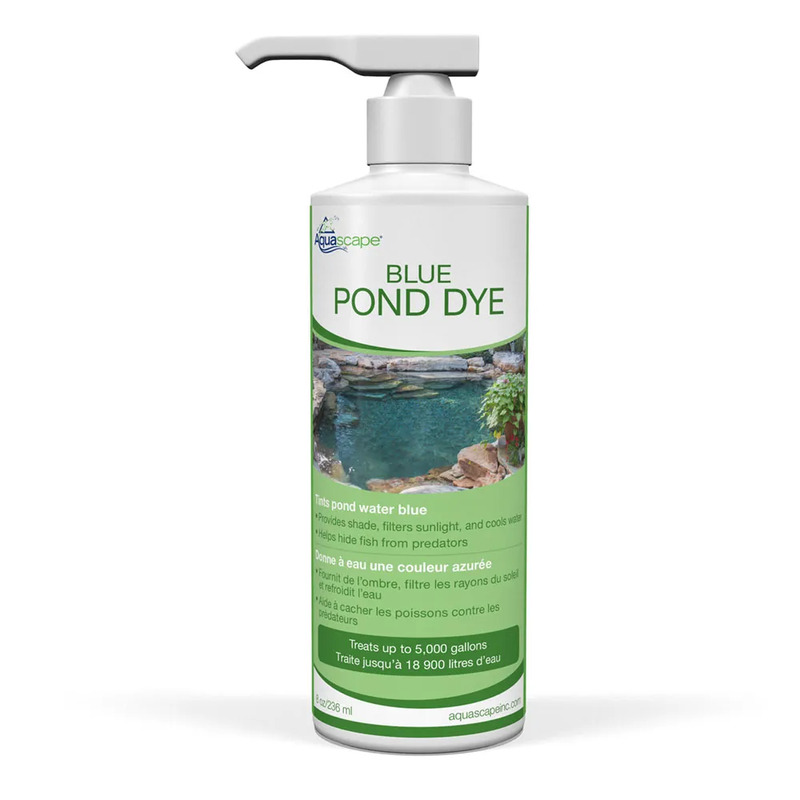 Blue Pond Dye - Aquascape, Inc.
Aquascape Blue Pond Dye is a completely non toxic dye that will safely help keep pond water clean, clear and cool. Ideal for use in the spring, when pond plants have not started growing and shading water from sunlight or summer, when water temperatures start to rise. Also helps reduce fish stress in spring when fish have no place to hide from sun and predators. 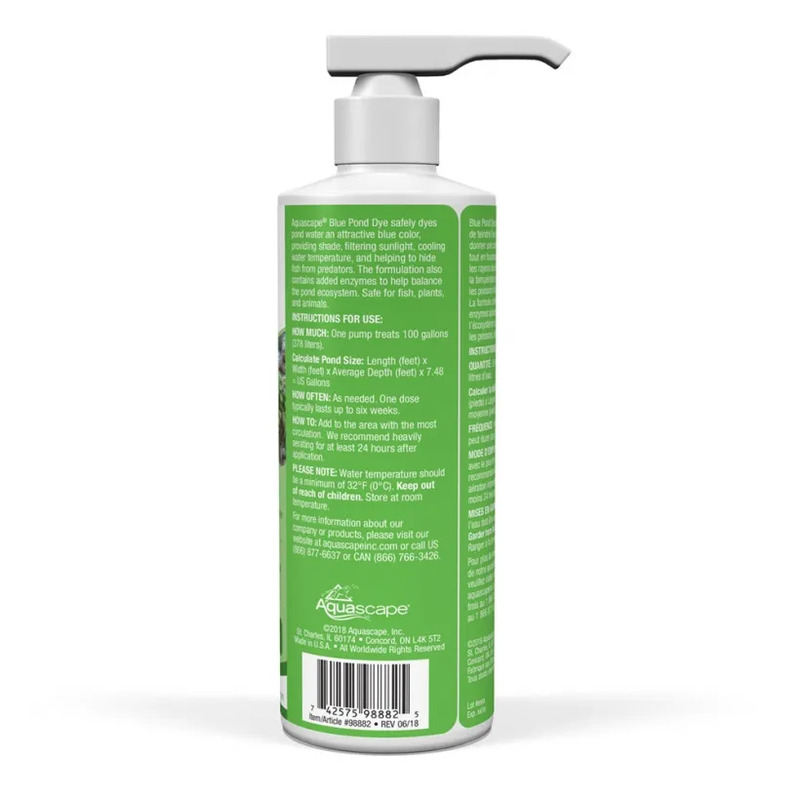 Added enzymes help breakdown unwanted debris and sludge left over after spring cleaning. Aquascape Blue Pond Tint is safe and will not harm people, fish, plants, birds or animals that may drink from the pond.